Jon Ole Olstad started dancing at the age of 16 and took his first ballet class when auditioning for a high school dance department. He quickly realized dancing was his big passion and that he would do anything to make his dream of becoming a professional dancer come true. Later he was accepted into the National Academy of the Arts in Oslo, and graduated with a bachelor degree in 2009. After college he was hired for the tour project “Kamuyot”, a collaboration between the Swedish Riksteatern and Batsheva Dance Company led by artistic director Ohad Naharin. During this time he participated in daily ‘gaga’ class, the training form used in Batsheva Dance Company, and developed a great love and respect for this work. 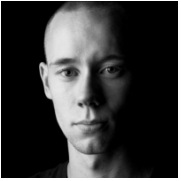 In 2010 Jon Ole formed the choreographic duo “Ruth n ´Walter” together with Caroline Skjoershammer. Their first duet “Epilogue” got invited to the Cross Connection Choreography Competition and in 2012 they created “Dear, its time to turn the lights off”, which was performed in different festivals and venues. In 2013, Jon Ole was hired by Nederlands Dans Theater 1, led by artistic director Paul Lightfoot. He has worked with choreographers such as Paul Lighfoot and Sol Leon, Johan Inger, Hofesh Shechter, Marco Goecke, Alexander Ekman, Jiri Kylian, Mehdi Walerski and Crystal Pite. In 2015 he was awarded 1. Prize in the prestigious competition, International Solo- Tanz Festival in Stuttgart. With his solo “and we already knew the names”, he was awarded the first “Prize in Dance” and the first “Prize in Choreography. He started teaching in 2009 and has a huge passion for sharing his knowledge and the love of dance. He has taught at numerous colleges and studios across Norway, as well as in Los Angeles and New York City. His teaching credits include Alonzo King LINES Ballet Training Program in San Fransisco, New York University/Tisch, The National Academy Of The Arts in Oslo, Edge Performing Arts Center in Los Angeles, Movement Lifestyle and Opificio Movimento in Rome.